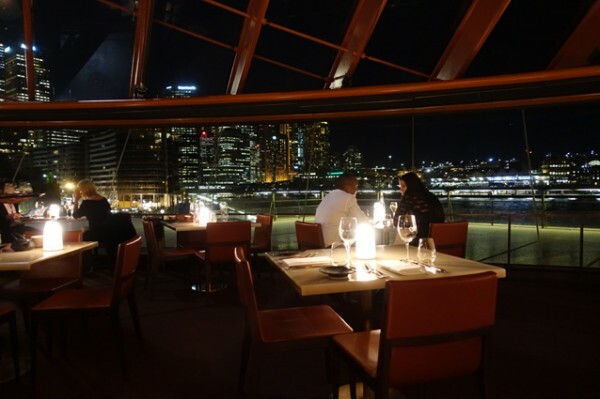 Review - Bennelong Restaurant - Does My Bomb Look Big In This? 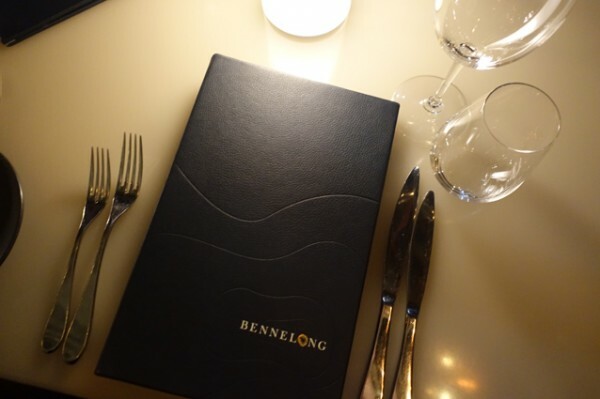 The reconfigured Bennelong Restaurant allows diners a more egalitarian way to dine in Sydney’s most beautiful dining room. 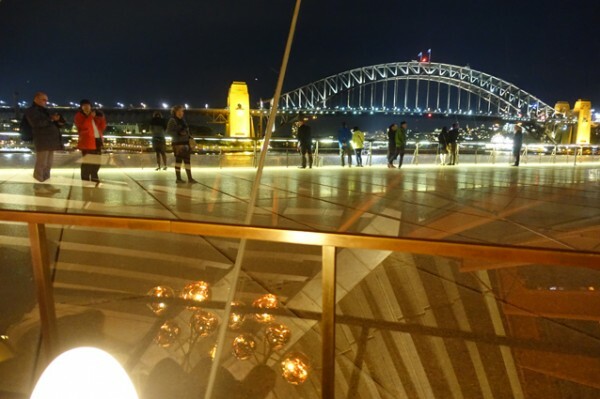 The surety of a Fixed Price Menu ($130/ 3 courses and sides) combined with the architectural grandeur of the location, have made it a shoo-in for all sorts of celebrations. Watch as the gun door crew cleverly ask each arrival: “And are we celebrating anything this evening?" The accuracy of their cold-reading skills produces more smiles than your average television psychic. Table after table of birthdays, anniversaries, and “our friends just got back from five years in America" pour in, each grinning widely from having a complete stranger mark their occasion. 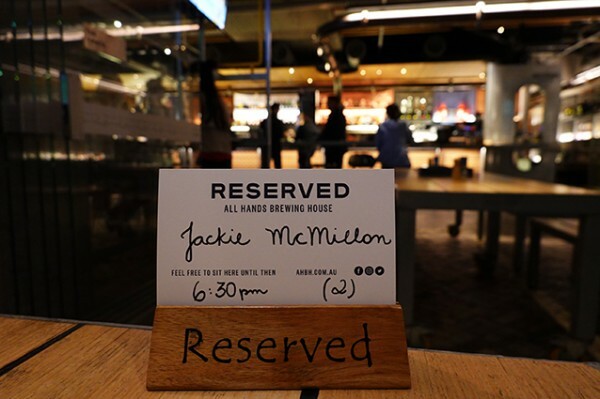 It's a clever way to start a restaurant visit off on the right foot. 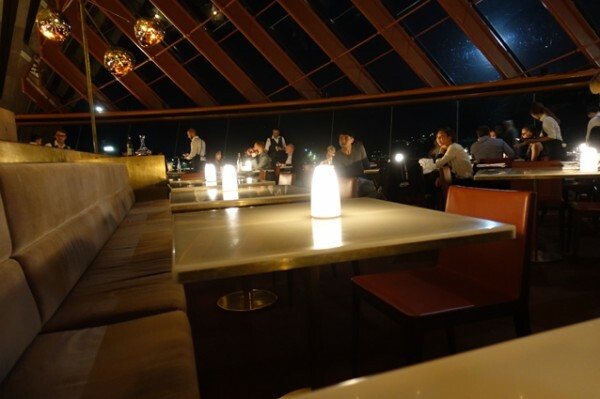 They’re joined by a steady stream of pre- and post-theatre diners, meaning some tables here are turning over four times a night. Observing this smooths over any mild disapproval about the militancy of the online booking process – this restaurant runs like a well-oiled machine. 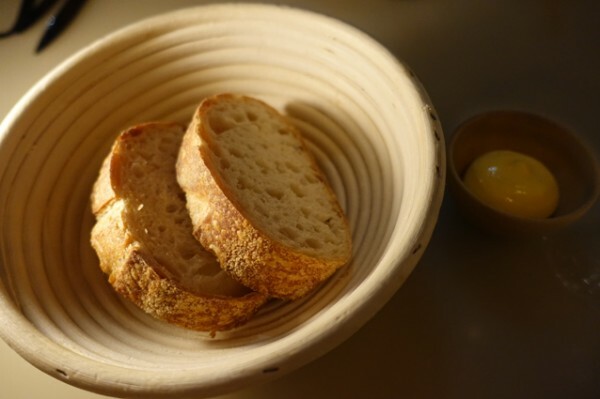 At the tables you should expect a produce-orientated menu, starting a Victorian bread where all the ingredients are sourced from the same place paired with a super-creamy, unsalted Tasmanian butter. 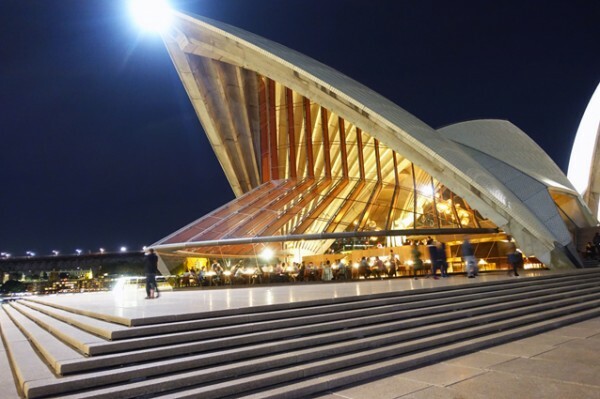 It’s no more than what I would expect from a restaurant in Australia’s best-known building, but I am pleased to see the strong focus on the provenance of Australian ingredients none the less. 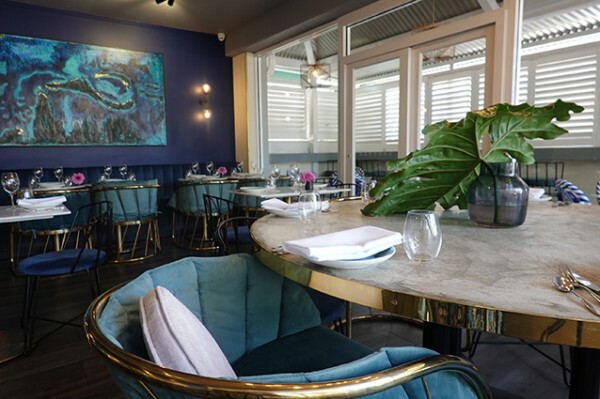 Executive Chef Peter Gilmore – in the kitchen on the night I dined – has put together a menu that doesn’t feel overly worked or fussy. 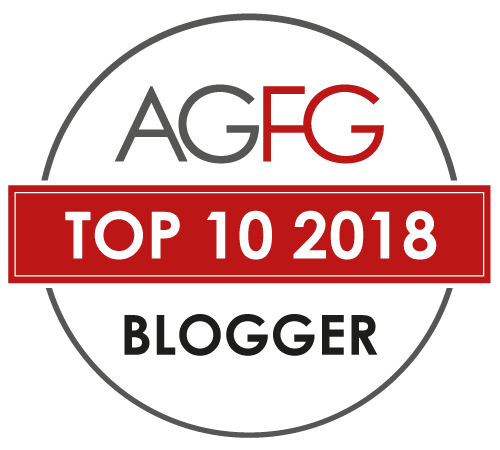 If there’s a guiding thread, it’s umami; that rounded, rich savoury flavour identified by the Japanese. And adding umami to what is essentially comfort food is genius. 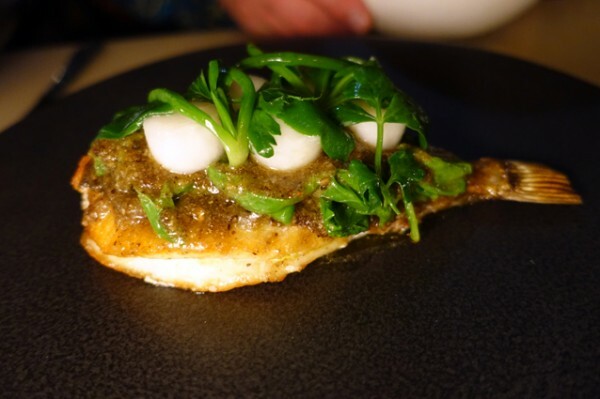 In some dishes – like the roasted John Dory, served on the bone (to keep it moist) with orach, turnips, native coastal greens and umami butter – it’s blatant. The house's umami butter is made using fermented shiitake mushroom powder, fish sauce and kombu (Japanese seaweed). 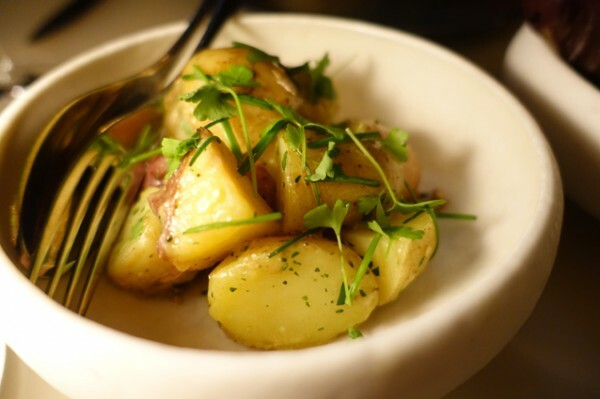 While in other dishes, like the side of potatoes that comes with your mains, it’s secreted in the subtle use of anchovies. 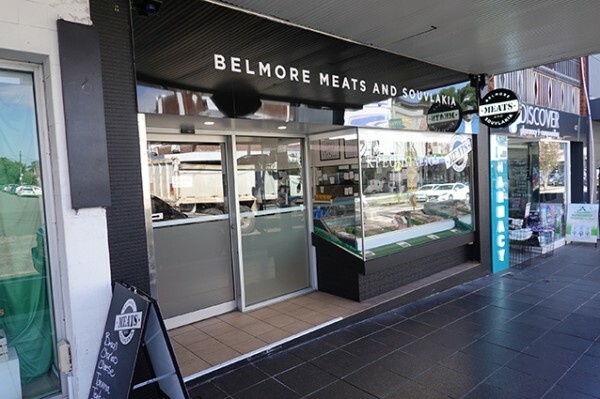 When we remark on this to the personable wait staff, we're told: “Well that's Peter Gilmore." 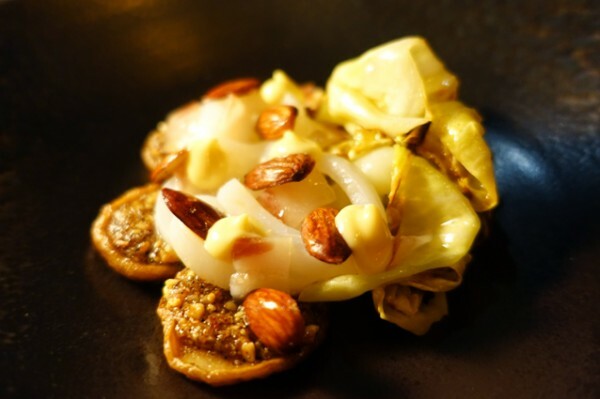 Barely translucent line-caught Tasmanian squid is kept central to a beautiful dish involving a tumble of roasted hispi cabbage, mountain shiitake mushrooms, almonds and black pig pancetta that together provide that same, compelling savoury middle. All that umami will work up a powerful thirst, and to my mind at least; requires a wine that will fight back. 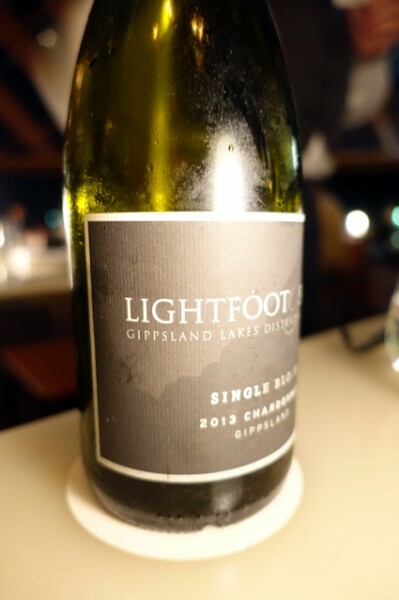 A savvy sommelier enticed me into trying the 2013 Lightfoot & Sons Single Block Chardonnay ($95/bottle) and I was mighty impressed with this Gippsland drop. 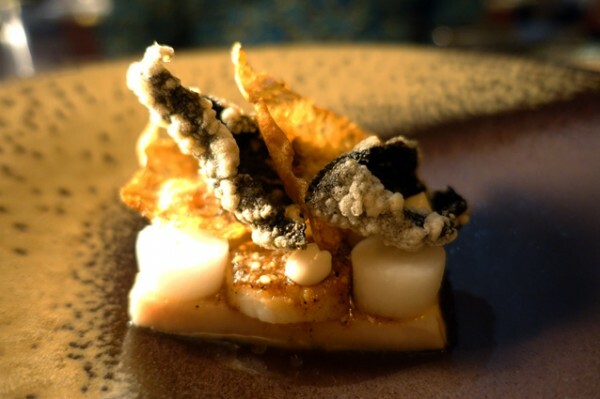 It offered enough complexity and texture to cope with everything Gilmore threw at it, and what with slow cooked pig belly with scallops roasted in (yet more) umami butter, crisp seaweed and Jerusalem artichoke, that's quite a lot! With Aussie icons like the pavlova and the lamington popping up in the dessert menu, it’s probably the most gimmicky course you'll eat. The updated cherry jam lamington is actually a scoop of cherry jam ice cream surrounded by crumbled cake, cream and cherries. 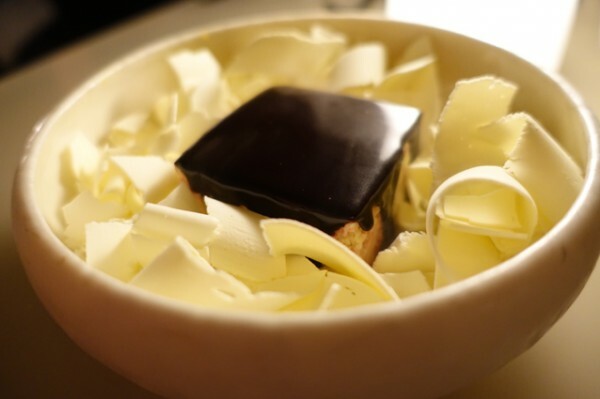 It's fashioned into a square and smothered with a dark chocolate glaze. Call me old-fashioned, but I prefer the simple cake, though I was partial to the surrounding white curls of coconut ice cream made using liquid nitrogen. 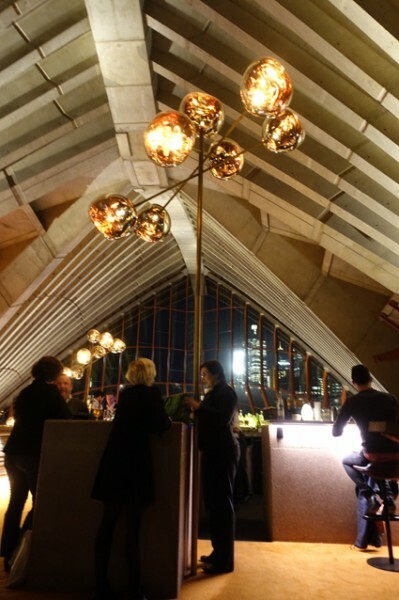 Top or tail your night with a cocktail in the equally picturesque bar, dominated by windows framing the perfect view of Sydney Harbour Bridge. 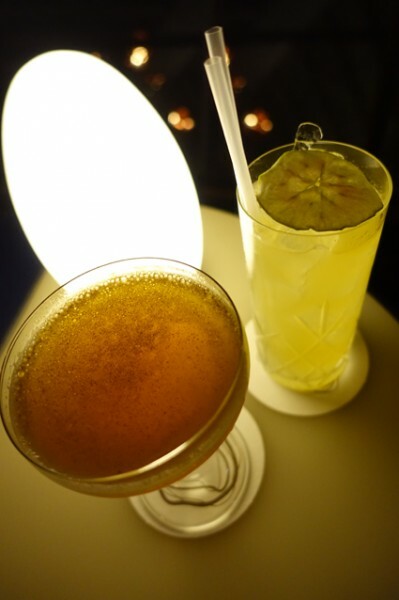 While showier drinks might see a waterfall of dry ice plummet from your table, I was happy with a refreshing, easy-drinking Apple of My Eye ($23) based on Laird’s Applejack and Calvados, lengthened with ginger beer. Blending whisky, mescal and Punt e Mes (an Italian vermouth), A Scottish Siesta ($22) might not have quite put me to sleep, but it certainly was a serious reminder to wind down and enjoy that illustrious view.